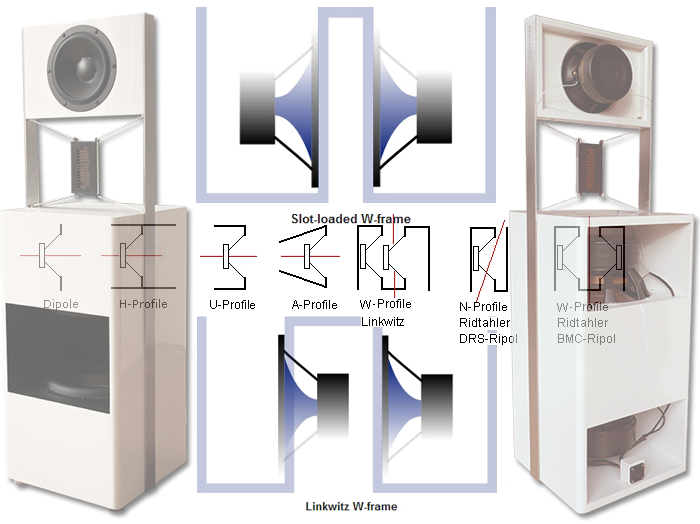 Dipole loudspeakers are very different from the more common direct-radiating norm. In those vented or sealed boxes, the dispersion of sound gets narrower and narrower with rising frequencies. Where bass frequencies surround the loudspeaker cabinet, the highest frequencies beam towards the listening seat like a spot light. All manner of interference parameters like baffle boundaries vs. driver diameters and edge diffractions contribute to their overall dispersion but a generally mixed pattern of quasi omni to highly directional is their case. The vast majority of music lovers listens to reproduced music over direct-radiating loudspeakers of the quasi point source or line-source type. To optimize the uneven interaction of such speakers with the room, all manner of acoustic measures are necessary for best results. The omnidirectional radiation of low frequencies is clearly apparent when you stand next to or behind such a speaker. You’ll hear bass but little or no high frequencies (except for room reflections of the latter). With bass frequencies being so abundantly radiated into all directions, nearby boundaries become obvious sources of interaction and disturbance. Enter careful speaker placement and optional acoustic treatments like bass traps. In many cases correction attempts boil down to canceling or filtering out offending frequencies with Helmholz resonator traps or even EQ. To the ear the elimination of boom is a boon but measurements as with Peter Schipper’s Audiovolver will show a severe dip in the spectrum. In short, audio is always a matter of compromise. The trick is to minimize the compromises for each particular listening room and listener to the best of one’s ability, budget and practical constraints. Again, the bulk of listeners is used to the behaviour and sonic aspects of quasi point sources. This habit creates a mental blueprint and reference expectation when judging similar designs. This familiarity is the backdrop against which audiophile terminology talks of soundstaging, airiness and transparency as compared to similar speakers. When we suddenly audition a dipole or bipole design, our mental roadmap no longer fits. This results in confusion, unease and disquietude when our listening experience is very different from the usual sealed or ported box results. It takes some time to reset our mental expectation pattern and enjoy the new presentation. The two of us know how this works between the hornspeakers and dipole panels we keep on hand. When switching from one type to the other, there’s always a mental click to be made. For the celebratory occasion of Dutch Pluto Audio’s 40th anniversary, we were contacted by one half of the duo that is Daudio, one Hans Beckeringh. He asked if we were interested in reviewing the Daudio W1 loudspeaker he and his associate Jeroen Dezaire were offering. 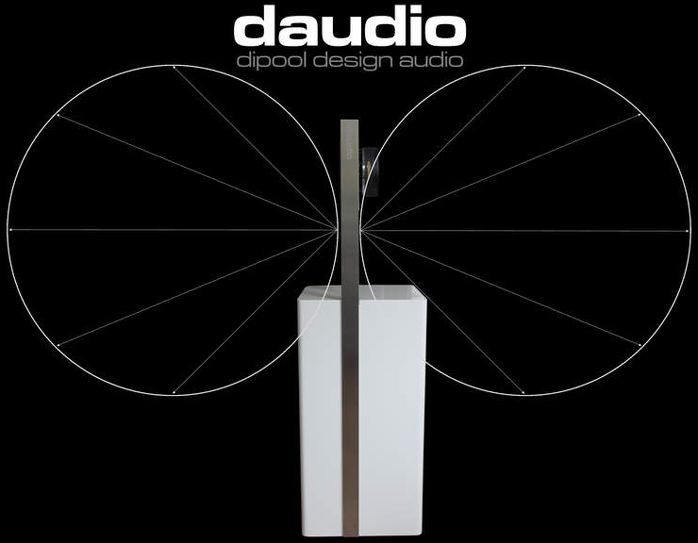 After many years of tinkering with dipole loudspeakers in the DIY and hobbyist arenas, Daudio was ready to put the culmination of all their hard work and knowledge to market. Of course the work and scientific substantiation of Siegfried ‘Mr. Dipole’ Linkwitz was of great inspiration but no more than that. 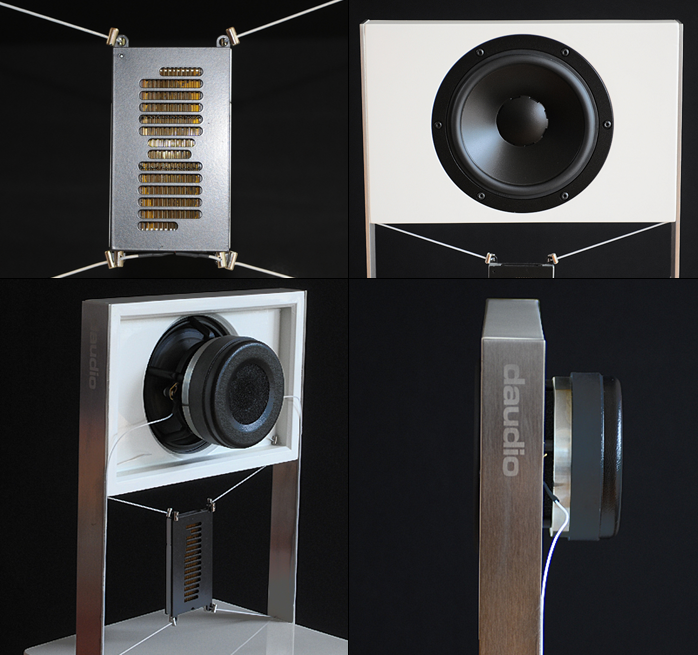 Daudio designed the W1 from the ground up with assistance from an interior architect for the final cosmetics. It was Hans’ enthusiasm and the fact that this was a new Dutch design and not just another box added to an already overcrowded global market of thousands of boxes that had us accept their review solicitation. Some time later Hans and Jeroen showed up at our place with a pair of W1 in tow. But they delivered more than just the speakers. They brought a complete set comprising the transducers, a pair of amps and a DAC/pre. To make the set truly complete they included a full loom of Daudio cables. Because the W1 had just entered formal production, the definite packaging was not ready yet. Hence our loaners were transported and delivered in provisional wooden crates lined with polystyrene.